So how is everyone coming along? I am a little disappointed with the participation in this one I have only had one person share with me what they are doing. Well, here is my part one. It was quite a struggle to get here. Trying to find fabrics from my stash to make one along with all of you. I’ll show you a bit of my struggles in choosing my fabrics…I started out working with the color wheel and tried to work with a rectangle using Blue green, Yellow green, red, and violet. 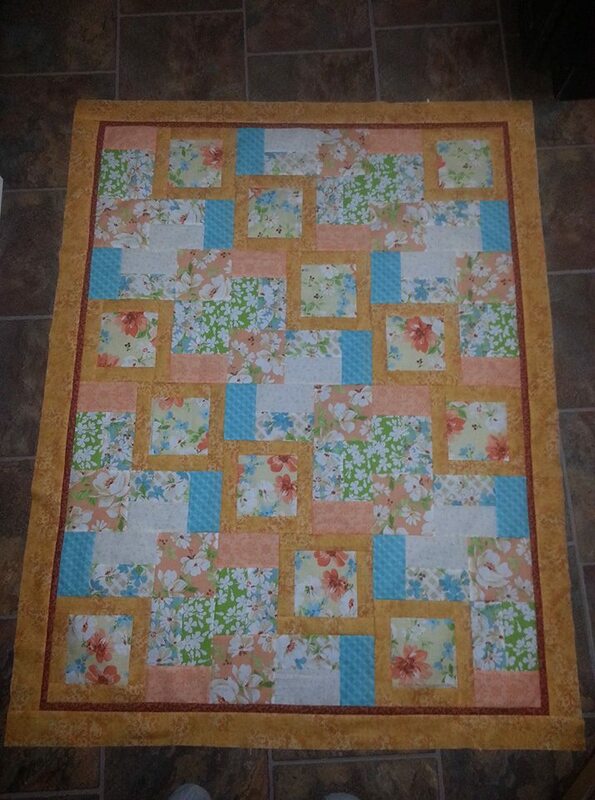 I really loved this combination, but when I tried to place them into blocks for this quilt they did not work. So back to the stash for options that work. I am not buying fabrics for this quilt. Can you believe I only have 2 fuchsia/violets in my entire stash. I did finally find something that pulled me totally away from my 1st choices, these are the numerous options that I came up with. You may notice that my framed squares have 2 fabrics from the same line I will be alternating these. (I just didn’t have enough fabric of one) I loved the green fabrics but I felt that it would be too much green. So I substituted these for a gray and brought back in the bright yellow/orange. This is my final choice and I believe it will still be an eye popper. Well, here is my part one finished, anyone out there willing to share their progress? Share your progress photos to chairo@telus.net.